Categories: family and health; ageing; self-help; law; social sciences. A comprehensive handbook offering information and guidance for older people on healthcare rights, nutrition, housing, transport, disability, domestic support, power of attorney, care, social contact, employment rights, social care, elder abuse, money, dementia, anxiety, depression, strokes, end-of-life choices, state benefits. Aimed at the general reader – older people and their families and friends – but also of interest to solicitors, financial advisors, doctors, nurses, housing and care practitioners, advisors in voluntary organisations, students of social work, law, healthcare and housing. For a limited period we are offering this book at discount to indivuals who buy direct from this website. If you add this book to the cart you will find a discount is applied and that after postage and packing you are charged an all in price of £22.00. The baby-boomers are picking up their pensions. They are anticipating much more from their later years, but for most of them ageing will come as a shock. They may have assumed they would die before they got old; instead they are finding they have survived to face changes in their physiology, social circumstances, relationships and finances for which they are unprepared. How to Handle Later Life is the result of 15 years of unsparing, independent, UK-wide investigation. It reveals what works, what doesn’t, and how to navigate the pitfalls which frequently confound those seeking care and support. The author, Marion Shoard, an award-winning writer, first became involved in the choices that confront older people when her mother lost her sight and developed dementia. 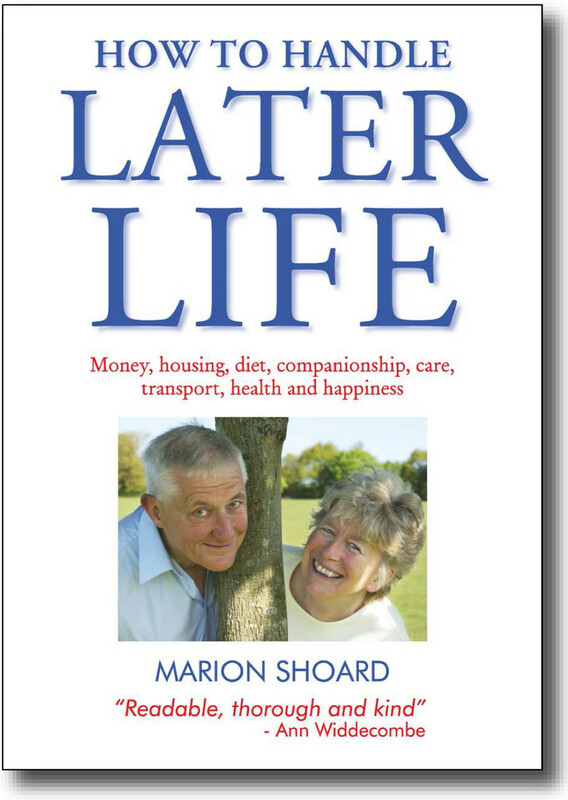 Acclaimed for her pioneering work in the environment, she has switched her focus and produced a comprehensive, straight-talking – and essential – guide to later life. For further information about Amaranth Books and How to Handle Later Life, see www.amaranthbooks.co.uk. For further information about the author, see www.marionshoard.co.uk.